Join us in celebrating Daybreak this winter with these incredible offers and more. It's the Daybreak Winter Extravaganza! PC players, if you play EverQuest or ANY of Daybreak's All Access games, you're in for a treat. Available for a limited time and in limited quantities**, lock in lifetime membership benefits in every All Access game with the Lifetime* All Access Membership! All Access currently includes DC Universe Online, EverQuest, EverQuest 2, and PlanetSide 2. No more resubscribing. No more recurring payments. All the access. All the time. Plus, if you already have an active All Access membership, we will convert your unused time to Daybreak Cash when you upgrade to this lifetime offer! But don't wait, because these WILL sell out. The Lifetime* All Access Membership is available on PC for $299.99 USD, now through December 31, 2018, while supplies last**. Get yours today! *For the life of the participating game(s). **Only 4,000 Lifetime All Access Memberships are available. Offer may end before December 31, 2018. For those not ready for a lifetime commitment, this special 12 Months All Access Membership will still get you 12-months of membership for every All Access game - EverQuest, DC Universe Online, EverQuest 2, and PlanetSide 2 - AND bonus items. Combined, this offer comes with over $900 USD of special bonus items from the All Access titles, with EverQuest bonus items valued at over $200 USD. Set yourself up for a great 2019 with these bonus items in EQ! Golden Hero Satchel - 40 slot bag! This membership subscription is recurring and will be renewed as the basic 12 Months subscription after the initial year. The 12 Months All Access Membership + Bonus is available on PC for $199.99 USD, now through December 31, 2018. Get it here! Finally, don't forget about this year's Frostfell celebrations, going on in-game now. For a very limited time, all racial heritage crates will be in the Marketplace for the holidays, and all the limited-time pet bundles are making an appearance too. Don't end the year without getting your Cat in a Bag, Dog in a Crate, or Gnoll in a Barrel!Learn more here! As an All Access title, DC Universe Online (PC) is included in the Lifetime All Access Membership and the 12 Months All Access Membership + Bonus. Console players, make sure you click through for special PlayStation 4 and Xbox One membership and marketplace offers that you will NOT want to miss. Click here to learn more about DCUO's extravaganza and bonus items! As an All Access title, EverQuest 2 is included in the Lifetime All Access Membership and the 12 Months All Access Membership + Bonus. Like EQ, EQ2 also has the yearly Frostfell event underway. 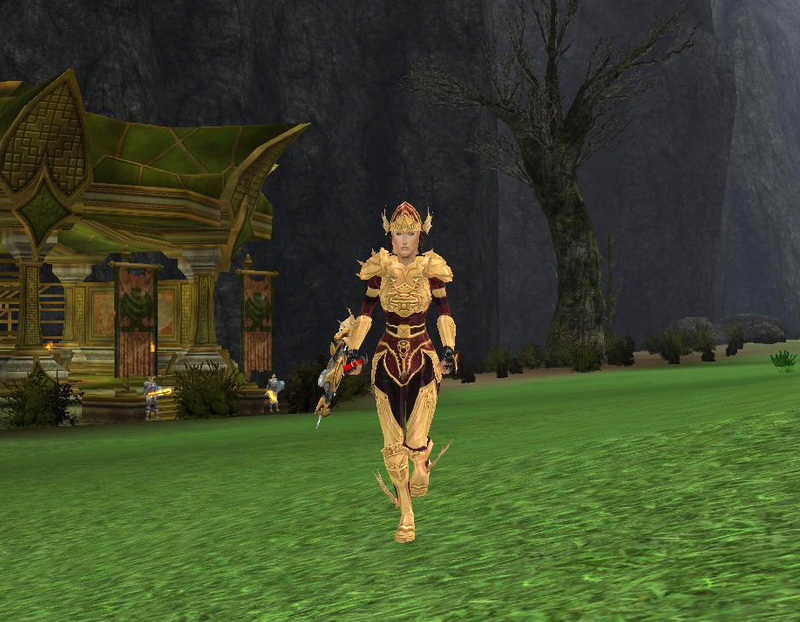 Click here to learn more about EverQuest 2's extravaganza and bonus items! H1Z1 joins the celebration with a marketplace sale (ALL items 50% off!) and the new Slay Ride Crate. Click here to learn about all of H1Z1's offers. As an All Access title, PlanetSide 2 is included in the Lifetime All Access Membership and the 12 Months All Access Membership + Bonus. Make sure to check out the Auraximas holiday event, daily sales, and a new Holiday Directive rounding out PS2's holiday cheer. Click here to learn more about PlanetSide 2's extravaganza and bonus items! Plus, get deep discounts and limited time offers from our partners over at Dungeons & Dragons Online® and Lord of the Rings Online™! Don’t miss out on great store savings up to 75% off, new free quests, in-game boosts, and winter festivals with frosty rewards! Click here for DDO offers and click here for LOTRO offers. The Daybreak Extravaganza and special offers begin at 1PM PT on December 18, 2018, and end at 11:59PM PT on December 31, 2018. Daybreak does not ensure continuous or error-free access, use or availability of any game content, feature, gameplay, or server and may change, modify, disable, suspend or remove any such content, feature, gameplay or server at its sole discretion. If you are currently an All Access Member with a 1, 3, 6, or 12 month membership, the Lifetime All Access Membership and charges will take effect immediately and the remainder of your previous membership time will promptly be granted to your account in Daybreak Cash. The 12 Months Membership + Bonus membership subscription is recurring and will be renewed as the basic 12 Months subscription after the initial year. White on light tan text doesn't make for easy reading. Sure I could change my color settings to compensate but do you really want to force your users to do that? I humbly suggest a different color scheme for this post! I mean, how easy do you find this to read? Thanks for pointing that out! I forgot to turn off my dark theme to see how it looked when I posted it.